Jacquelynn and Kevin Patterson are adoptive parents from Kevil, Kentucky. They have three daughters. 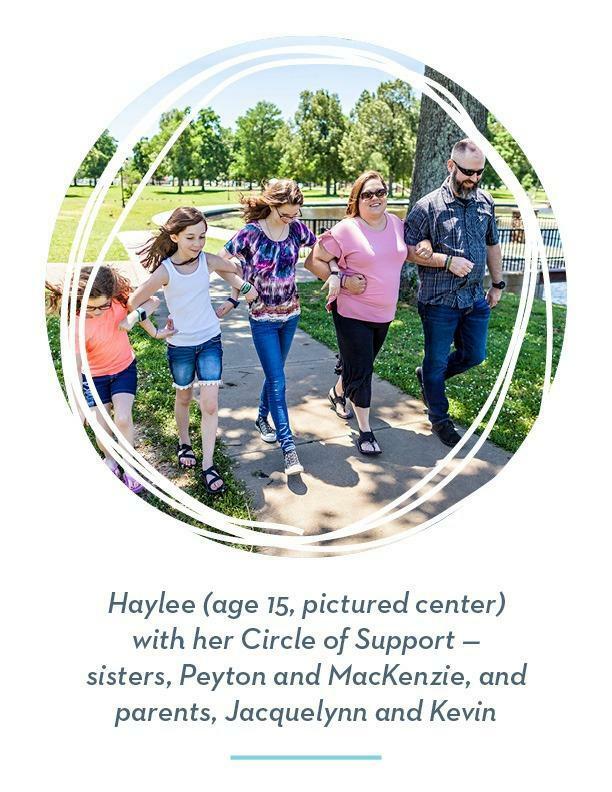 Their oldest, Haylee, was adopted through the Foundation’s Wendy’s Wonderful Kids program. Our daughter, Haylee, came home to us at age 13. After living a life of uncertainty, growing up in homes that were deemed unsafe and foster homes that were not permanent, our daughter is finally home. We met Haylee in September 2016. We weren’t sure what we were getting into, but we knew the need for foster-to-adopt families in Kentucky was critical. We also knew that teenagers were being overlooked and that thousands of teens needed loving parents. We wanted to be that family for a teenager. We try to instill in Haylee how much opportunity she has ahead of her. She takes joy in now being a big sister, oldest child, oldest grandchild, friend, cousin and daughter. Not everything has been smooth, but we work through the obstacles together. Every moment of resistance and frustration has been worth it. We have a hard time remembering life without her. It’s like she’s always been here. Support our mission to find a permanent home for every child waiting to be adopted from foster care.